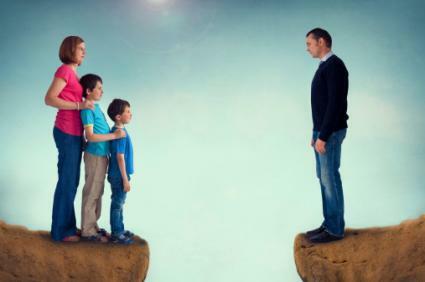 After years of trying to resolve their issues with their parents, some people feel their best or only option is to cut ties. However, people are often not prepared for the emotional backlash they experience as a result of taking this action. Cutting ties is a last resort and is much more serious than simply trying to deal with difficult family members. No one makes this decision lightly. Understanding how you might feel should you decide to cut someone out of your life can help prepare you for the fallout. Looking at a case study is a great way to delve into these emotions that can pop up unexpectedly. One client had a father who was intermittently in and out of her life. She wanted very much for her children to know their grandfather, but she was not able to rely on him to keep his word and he disappointed her time and again. This client's name has been changed to protect her identity. "I tried so hard over the years, and he would leave me behind in the wake of a string of broken promises," Lydia explained. "I finally decided to get off the roller coaster and end my relationship with him. It was clear he was not going to change, and I needed to just put him out of my life so I wasn't always dragged down and depressed waiting for a more loving father. It was affecting everything in my life, my relationships and how I felt about myself. I needed to stand up for myself and stop letting him treat me like garbage." Yet, when she did this, she went through some unexpected emotions. "I knew that cutting him out was the best thing for me and my family, but I didn't expect the emotions I experienced in doing this. It wasn't as easy as I thought. I grieved for the loss of my father as though he had died. I felt like an orphan." She continues, "It wasn't so much that I missed him. I missed the potential that someday he would change, that someday he would be there for me the way I wanted him to be, that he would be the type of father I always wanted." In essence, Lydia missed having a father rather than actually missing her father. "He was never really there for me in the first place, and it hurt me to realize that. After I cut ties with him, I could no longer tell myself that one day we might be closer and have a relationship. It made the reality set in, and I mourned my loss." Another set of feelings that Lydia experienced was the sense that there will always be words left unsaid between her father and her. "Sometimes, I just want to call him up and let him know how disappointed I feel that he never made more of an effort to be in my life." If you make a decision to cut ties with your parents, you might have to accept that you will never be able to explain to them what you feel they did and why you're hurting because of it. Those issues you had with your parents may never be resolved, including those hurt and angry feelings. You might have to find other ways to work them out, such as therapy. Often, kids who sever ties with their parents are portrayed as difficult, ungrateful sociopaths. However, it's unrealistic to blame children as the sole reason for relationship failure, even when they become adults. Relationships are a two-way street. If a relationship is non-functional, often the parents play a big and indelible part in these family dynamics. This is also true of other family relationships, and the emotional reaction can be the same if you cut ties with a child, sibling, or any other close family member. If you decide that you need to sever ties with your parents and this is the only way you can have a healthy, happy, and productive life, know that there is an emotional toll ahead even if this is truly the best decision to make. Understanding that this decision will affect you in ways that you may not anticipate will help you on your journey towards healing.